The Fundamental Rights petition filed by Ven. Dambara Amila Thera seeking a declaration that the purported removal of Ranil Wickremesinghe from the office of the Prime Minister on October 26 last year is ultra vires and amounts to an intentional violation of the Constitution was yesterday fixed for support by the Supreme Court. The Supreme Court three-judge-Bench comprising Justice Priyantha Jayawardena, Justice Murdu Fernando and Justice E.A.G.A. 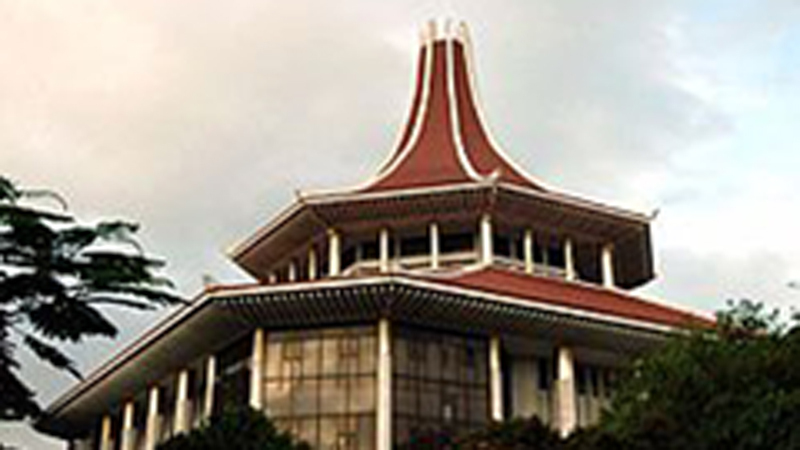 Amarasekara fixed the matter for support on May 10. Meanwhile, the the Supreme Court re-issued notices on the respondents following the claims that several respondents were yet to receive notices. The petitioner, Nayaka Thera attached to the Nalanda University College in Horana cited 53 persons including Prime Minister Mahinda Rajapaksa, UNP leader Ranil Wickremesinghe, the Attorney General and members of Cabinet of Ministers as respondents. This petition had been filed through Attorney-at-Law Raj Mohan Balendra. Meanwhile, another Fundamental Rights petition filed by Oshala Herath, the former Deputy Director of the Presidential Media Unit over the same issue was also re-fixed for support on May 10.President’s Counsel M.A.Sumanthiran appeared for the petitioner.